Obama likened Israel's concern over Iran's nukes to "noise." Former NYC mayor: "That is a frightening statement." Former New York City mayor Rudy Giuliani sounded off Tuesday on Fox News regarding President Barack Obama's 60 Minutes interview in which he likened Israel's concern over Iran's nuclear weapons program to "noise" that he prefers to "block out." "This is a man who is determined to become a nuclear power, and it seems like the President of the United States… the President of the United States announced yesterday on '60 minutes' that this is 'just noise,' this idea of Iran becoming nuclear... just noise that he blocks out. "I mean, that is a frightening statement by the President of the United States." Obama's statement reflects his "cavalier attitude," the mayor charged, and the press is letting it slide: "Governor Romney makes a slight little mistake that somebody can misinterpret and it's all over the news for five days – Obama makes an astounding irresponsible statement like this and it's ignored." 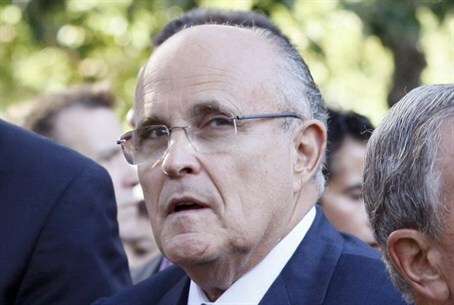 The decision to let Ahmadinejad speak at the UN on Yom Kippur shows "the lack of sensitivity and the lack of concern about the state of Israel, which frankly I don't think is very high on the president's agenda," Giuliani added. "The president was in New York today, he went on The View but he can't visit with Netanyahu or any other world leaders. "He was here a couple of days ago and he visited with Beyonce and Jay Z and collected 40 grand a person and didn't have enough time to meet with Netanyahu. He announced on 60 Minutes that Israel was just one of our allies, as if it isn't our most important ally in the Middle East. And he treats them almost as if they're not an ally."